The difficult decision of whether or not to store your priceless art collection on your super-yacht just got easier: after a series of high-profile debacles in which multi-million-dollar paintings were damaged by poorly trained yacht crews (like the ham-fisted swabbies who didn't use the correct technique to clean a $110.5m Basquiat after the fruit of His Lordship's loins covered it in breakfast cereal), a boutique industry of specialist consultants has emerged to train your yacht's crew in art preservation. At £295/day, it's a steal. 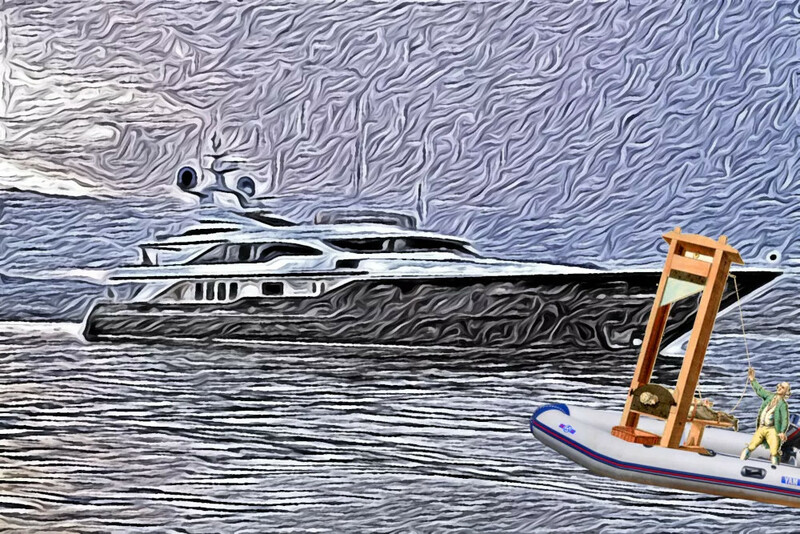 Discretion is required in both the art world and on superyachts, but Mather-Lees said Sheikh Mansour bin Zayed al-Nahyan, the owner of Manchester City and deputy prime minister of the United Arab Emirates, has several hundred pieces aboard his £350m superyacht Topaz. A reporter looking in the windows of Joe Lewis’s £200m superyacht Aviva, when it moored on the Thames last year, discovered Francis Bacon’s Triptych 1974–1977 was hanging in gold frames on the lower deck. The painting, whose subject is the death of Bacon’s lover George Dyer, was included in Tate Britain’s blockbuster Bacon and Freud exhibition last summer.